MAN FOUND HANGING in Piedmont Park. Possible Murder. 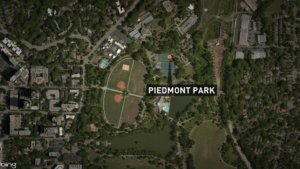 A Black Man was found hanging in Piedmont Park early this morning. The incident is now under investigation.